The mission of the 1st Squadron, 9th Cavalry Regiment, "Headhunters, " is to, on order deploy to a designated contingency area of operations, conduct reception, staging, onward movement, and integration. It would then, on order, conduct combat operations and redeploy upon mission accomplishment. 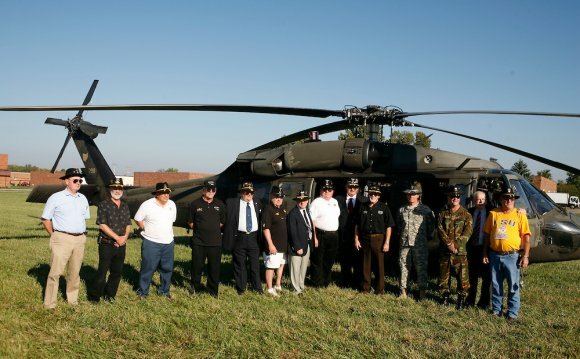 The 9th Cavalry Regiment boasts of a long list of distinguished members, including General Robert Shoemaker (Retired), Lieutenant General Paul Funk (Retired), and Sergeant Major of the Army William Connelly (Retired). On 28 July 1866, the 39th Congress of the United States passed an act to improve the peace establishment of the nation. This act authorized the formation of additional regiments in the US Army, 2 cavalry and 4 infantry. For the first time in the nation's history, these Regular Army regiments were to consist of black enlisted soldiers. The 9th Cavalry was organized on 21 September 1866 at Greenville, Louisiana, a town near New Orleans. Colonel Edward Hatch, a veteran cavalryman and former general officer in the recently concluded Civil War, was selected to be the Regiment's first commander. The 9th Cavalry, along with its sister regiment, the 10th Cavalry, became known as the "Buffalo Soldier" regiments, a title of respect bestowed by the Indians they fought. The 4th Squadron, 9th Cavalry Regiment traces its lineage to the formation of Company D, 9th Cavalry Regiment. In the 1870s and the 1880s, the Ninth Cavalry fought with great distinction throughout the western United States in numerous campaigns against marauding American Indians, Mexicans, and lawless settlers. The Ninth Cavalry was often the only source of security on the frontier and was often at odds with those who would profit from banditry. While most of the Ninth's actions were against hostile Indians, in 1884 the regiment also protected the friendly Indian tribes settled in present-day Oklahoma from settlers seeking to steal their land. From these early campaigns, the Ninth Cavalry derived a part of its unit insignia: an Indian in breach cloth mounted on a galloping pony and brandishing a rifle in one hand. The Ninth Cavalry troopers earned fifteen Medals of Honor during the Indian Wars. Most of these medals were earned by noncommissioned officers leading small detachments of soldiers. The regiment participated in campaigns against the Comanches, Utes, Sioux, and Apaches. The Regiment was called upon again during World War II. On 10 October 1940, the 9th Cavalry was reassigned to the 2nd Cavalry Division and prepared for overseas deployment. The Regiment trained in the Arkansas Maneuver Area from August to October 1941 then returned to Fort Riley, Kansas. Due to overcrowding at Fort Riley, the Regiment transferred to Fort Clark, Texas in July 1942 where it continued training for combat in Europe. The War Department decided a second cavalry division unnecessary for victory and directed the 2nd Cavalry Division deploy to the Meditteranean theater and inactivate to provide replacements to critical logistical organizations. Accordingly, the Regiment dismounted, embarked at Hampton Roads, Virginia on 31 January 1944, arrived in North Africa on 9 February 1944, and was inactivated on 7 March 1944 at Assi-Ben Okba, Algeria. The Regiment's soldiers were transferred to support units. On 20 October 1950, the Regiment was redesignated the 509th Tank Battalion. The Battalion was activated on 1 November 1950, at Camp Polk, Louisiana, and reassigned to the 1st Cavalry Division. At the time the 1st Cavalry Division was in battle with the Republic of Korea. The 509th Tank Battalion arrived in Korea in time for the historic defense of Pusan and fought in numerous campaigns throughout the war, earning distinction and honor in the fight against North Korean and Chinese aggression. In December 1952, the Battalion became one of the early units to racially integrate. After the war, the Battalion patrolled the DMZ until 10 April 1956, when it was transferred back to Fort Knox Kentucky and inactivated. On 1 November 1957, Troop A, 9th Cavalry was reorganized and redesignated as Headquarters and Headquarters Troop, 1st Squadron, 9th Cavalry, with its organic elements concurrently constituted and activated. The Squadron was activated in Korea and reassigned to the 1st Cavalry Division. The Squadron was transferred from Korea to Fort Benning, Georgia on 1 July 1965 and reorganized as part of the reflagging of the 11th Air Assault Division (Test) as the 1st Cavalry Division (Airmobile). Robert Morin Shoemaker (born February 18, 1924) is a U.S. Army general, and former commander of the United States Army Forces Command (FORSCOM). He is also an inductee into the Aviation Hall of Fame. Robert Leslie Poxon (January 3, 1947 – June 2, 1969) was a United States Army officer and a recipient of the United States military's highest decoration—the Medal of Honor—for his actions in the Vietnam War.